For it’s in the shape of you, is it not? This is so abstract! If I were to paint this poem it would look like I was on acid. Lol. I am honored for your recognition. However, I must decline at this time. If poetry is IN your soul, it has to come out. You’ve done it here! Beautiful. You are consistently one of the most rewarding poets I read. By some coincidence, I’ve written a poem called “Souls”. Thanks Art. It’s good to hear from you again. I checked out your poem “Souls” and enjoyed it. If I were to think of a difference between our poems, I would say your poem is about souls and my poem is about soul. Funny, how one letter can change a signifier. Take Care! 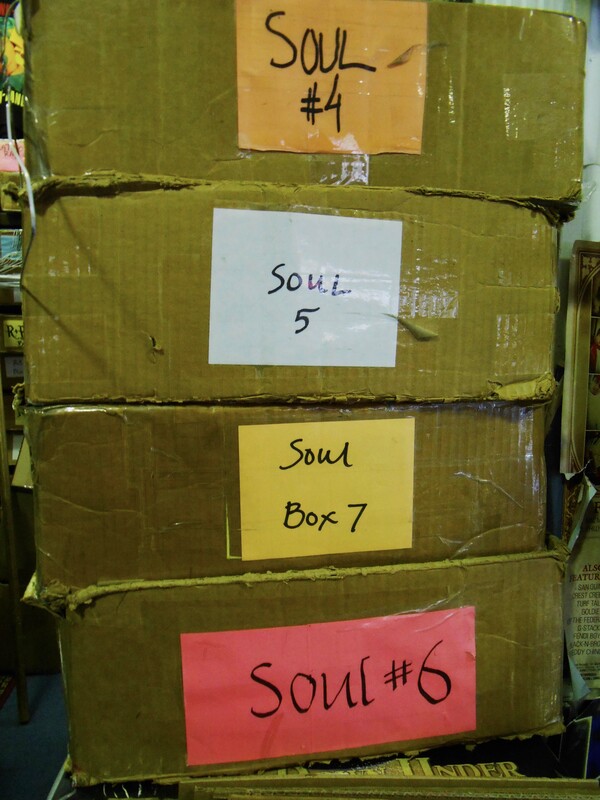 I’ve long contemplated how one could define “soul”. I think your poem does a good job of it. “That smudge you’re marked with”….yes, I feel that. Incredible writing, powerful. Hoo boy! You are among the small elite who recognize Coltrane’s later work. I gobbled those Impulse albums up. Took acid,listened, practiced…attempted to play the records at parties until people ran from me when I appeared. Okay,they are mostly unlistenable under normal circumstances. Can’t help wondering what Trane would have done had he survived. He sort of played himself into a corner I saw Trane five or six times. In Chicago with Archie Shepp. That was insane! They played one note for thirty minutes. I loved it. Your erudition is showing, Elan. Wonderful, saucy words for soul! I love this. The picture & poem combination is spookingly fascinating! I want to see what kind of treasures are in those boxes. Modal jazz is misunderstood. Kandri Golpanath here is what I call mono-modal, especially considering the Alaap, then the tala. Coltrane took modes to another level. I’m partial to Sanders, however, who was closer to mono-modal improvisation. I saw Golpanath with his amazing violist sometime in the near past with a version of this group. Wow! A person not knowing English but still able to read this out loud would still appreciate a rhythm that reaches out to grab the reader. I love this. The language. The cadence. Perfect! Love this, Elan! Beautifully written.